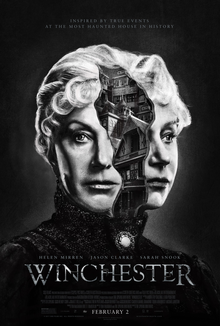 After the sudden death of her family, firearms heiress Sarah Winchester becomes convinced that she’s haunted by the souls of those killed by guns. Winchester then decides to build an enormous mansion that’s designed to keep the evil spirits at bay. When skeptical psychiatrist Eric Price visits the estate to evaluate her state of mind, he soon discovers that her obsession may not be so far-fetched after all.